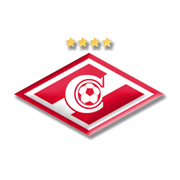 Spartak Moscow will be aiming to bounce back from a 2-1 loss to Sevilla when they host Maribor at their Otkrytiye Arena on Tuesday evening. The Russian champions are a real force to be reckoned with at home and it has to be noted that they crushed Sevilla 5-1 in their last home game in the Champions League. Considering that they played out a draw with Liverpool in Moscow earlier in the process, it is no surprise Massimo Carrera’s men are seen as favourites to win Tuesday’s football match. Maribor, on the other hand, have nothing to play for in their penultimate group game and seeing that Spartak Moscow are still in the race for a place in the last 16, home win should be considered. A man to watch in the home team will be experienced attacker Luiz Adriano, who used to play for Shakhtar Donetsk in the past. Roman Zobnin is a talented Russian footballer who was born in Irkutsk on February 11, 1994. Zobnin played for the likes of Zvezda Irkutsk and Konoplyov football academy during his youth career, while starting his senior career Akademiya Tolyatti. In 2013 Dynamo Moscow chiefs brought him to Arena Khimki and he played for the capital club from 2013 to 2016, scoring two league goals for the White-blues during that period. Roman Zobnin then moved to Spartak Moscow and he has been playing for the Krasno-Belye ever since. His main position is central midfield, but he is capable of playing as both attacking and defensive midfielder as well. Roman Zobnin made his debut for the Russian national team in March, 2015 in a friendly game against Kazakhstan. It has to be noted that his older Aleksandr Zobnin was also a professional footballer. Roman Zobnin has a contract with Spartak Moscow, which expires in June, 2020. Founded in December 1960, Maribor are the most successful Slovenian club. The Violets won their 14th SNL trophy in 2017, with the team finishing the season 13 points clear of second-placed Gorica. Maribor are the only Slovenian club which made it to the UEFA Champions League group stages (2013/2014), but the likes of Chelsea, Schalke and Sporting Lisbon proved to be a big catch for the Slovenian champions. The Violets collected only three points from possible 18 in the process and four years later they repeated the success, with the team eliminating Hapoel Be’er Sheva in the Champions League play-offs. Maribor will face the likes of Spartak Moscow, Sevilla and Liverpool in Group E. Speaking of the club’s main rivals, there have always been fireworks in clashes between Maribor and Olimpija Ljubljana. The two teams face each other in the “Eternal derby” (Vecni derbi) and they represent the two biggest cities in Slovenia. Maribor are well known for their violet for their violet shirts with yellow stripes. Ljudski vrt is the club’s home ground.